Coconut. For real ya’ll. Those of you who know of my extreme distaste for eating shredded coconut on any dessert or fried shrimp will laugh, but I am currently obsessed with coconut in other forms. It all started when my friend Emily (of the rockstar Emily Alt Photography-for real, go check out her rolling elopements) introduced me to oil pulling. Take quality oil–like organic, virgin coconut oil (I get mine from Trader Joe’s. For about $5, you can get a jar that will last for months)–and slowly swish (pull) about a tablespoon around in your mouth for 5-20 minutes in the morning before doing anything else. I know it sounds gross and, I’m not going to lie, it kind of tastes/feels gross at first. But, after two days my teeth were whiter than they’ve ever been and NO plaque. Oil pulling has other potential positive effects–fighting sickness, improving cardiovascular health, improving skin, hair and nails, and, even, helping ease the symptoms of many autoimmune diseases. If any of that happens, I will be very happy, however, the main reason I’m doing it is for my teeth. So white and so clean clean. Make sure you rinse and brush right after pulling! That is not all I’m doing with coconut these days. I’m also putting the oil on my lips as a natural chapstick–since Chicago is under an ever-lasting frozen vortex of winter. 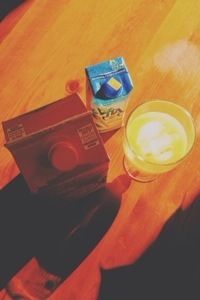 And, almost every morning, I mix coconut water and orange juice for a delicious and healthy immune booster, hydrator, and all around pick-me-up. Old Photos. I was recently going through all the stuff I have stored in my parents’ basement (yes, I am a fully grown adult and have boxes upon boxes of stuff in my parents’ basement) and found about 50 of those Walgreens envelopes full of photos. Now, these were not that old. They were high school and college, a time when Facebook was just being invented. I was feeling like I didn’t have many photos from that era, particularly college, and was so excited and relieved to find these. 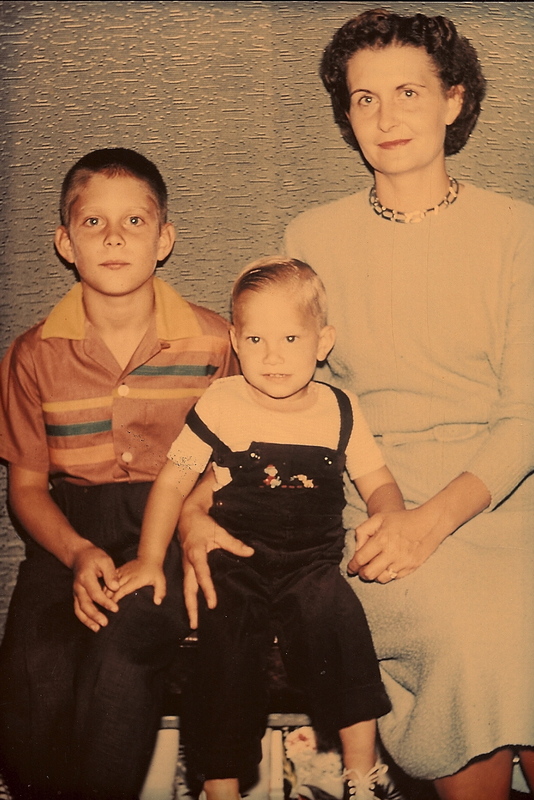 However, my mom also shared with me some photos that are actually old, of my grandmother, her mother, as a little girl. Not too long ago, she also shared with me old photos from my dad’s side of family that my sister and I used to create a photo book for our grandmother, his mother, last Christmas. 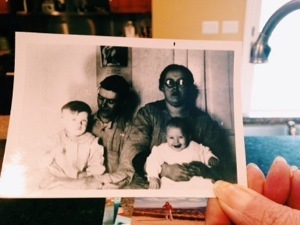 Old family photos–especially black and white or faded color–make some of the best art for your home. They are meaningful and beautiful prints that add character and charm. They are also relatively inexpensive to print, even in large sizes, and can be edited to fit standard frame sizes, so you don’t have to pay for custom framing. I have big plans for these in the new place. Organic Pop Tarts. 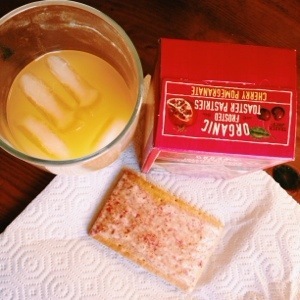 Speaking of a blast from the past, these Trader Joe’s organic pop tarts are the cat’s pajamas. And they don’t have all the nonsense ingredients of other toaster pastries. Cherry pomegranate? Yes please. So those are my obsessions this week. We’ll see what next week brings…what are you obsessed with right now?